Akeance Consulting has a real expertise in describing and optimising financial processes. We list and detail tasks, doers and management rules by focusing and interviewing key protagonists in the heart of processes. As a consequence, it gives us a real and complete picture of these processes. We are used to analyse processes in industries, service companies and whatever the context can be. Therefore, it permits us to highlight potential improvements in terms of quality, flexibility, reactivity and to refer to best practices. Given its multiple interventions in different sectors, Akeance Consulting has capitalised a lot of best practices in finance which constitute the state of the art. As a consequence, we are able to assist you to get a significant upgrade of your management practices to better meet the needs of your activity. To do so, we provide you with our knowledge of the best practices existing in terms of reporting, financial system and productivity improvements. Those three points are elements of a coherent information system. Based on our knowledge of your activity and our practice in system implementing process, we can assist you in defining functionalities aligned with your needs and the best practices. That is to say a reporting drafting with regard to the suitable financial and legal constraints. Moreover, considering your processes, we would be able to define the key performance indicators which permit to monitor activity and to achieve strategic objectives, specifically to reach productivity gains. We provide you with assistance to successfully run your IT transformation projects by auditing your current systems, working out objectives criteria to choose a system and monitoring the system implementation. We have a deep experience in projects dealing with significant IT implementation toward integrated systems, regardless if source-systems are made of multiple expert applications or complex integrated system. This expertise is complementary to other interventions and can be performed in parallel. As a management consulting firm, we aim to optimise operations, inspire the organisation and transform management information systems of our clients. To that end, our primary objective is to impact dramatically their top and bottom lines result. Our motto is that we do what we say and not only what we have to do by delivering concrete and tangible results. Thus, we work side by side with our clients to create and implement practical solutions. Our key success factors are integrity and transparency. Our way to proceed with our clients is easy to define: « I say what I do and I do what I say ». Without any dogma or static/standard methodology, our philosophy is to be pragmatic and propose to our clients the most optimal and adequate solutions. We are conscious of time and result driven. It gives the possibility to our clients to generate profits and / or efficiency improvement as fast as possible and to attain their strategic objectives. While we often intervene on a broad range of issues, we also give particular attention to the smallest details that impact your bottom line. for an international bank, business requirements elaboration for the design of an ALM system. Project management and assistance in the system implementation in the European subsidiaries. for a bank, assistance in the working out processes within branches. for an online financial broker, redefinition of a monthly managing reporting which is based on KPI, standard profit and loss, a balance sheet and cash flow statements. We take great care in applying management project and change management skills in the exchange of communication and the running of the intervention with our client. Akeance Consuting independant consulting firm in finance, consulting in finance, consulting in corporate finance, consulting in financial reporting, consulting in financial performance, consulting in treasury, consulting in bank. 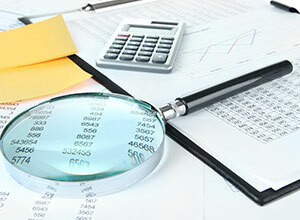 Akeance is a consulting firm completely independent form audit or IT groups. You have a finance issue, then contact akeance to help you. Our team is ready to help you. Implementing a fast close process, improving reporting reliability, redefining dashboards, improving treasury forecasts, pooling and optimizing support functions… Our financial consulting practice assists Finance Departments and Group Corporates in optimizing their operational and financial processes, improving the profitability of their activities and providing a better financial visibility. operational efficiency through the definition and monitoring of production costs, the implementation of a CSP or the reinforcement of internal control. These projects always strive to support Finance Departments in optimising operational and financial processes as well as improving business profitability. Through its core field of expertise and operational strategy, Akeance Consulting supports companies and corporations in improving their financial performance at all of their development stages.